If you’re like me, you don’t like spiders in the house. But that doesn’t mean we need to be afraid of spider plants! 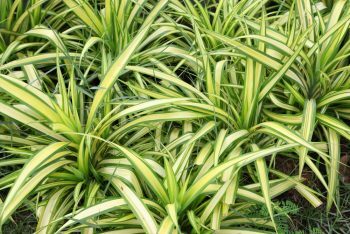 Spider plants are actually some of the easiest to care for, interesting looking houseplants you can own. And there are probably more varieties of spider plants than you ever realized. 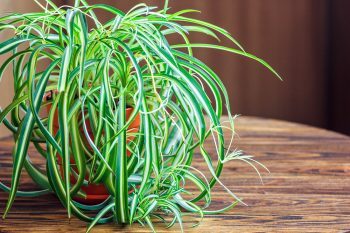 Let’s look at spider plants you won’t be afraid of! 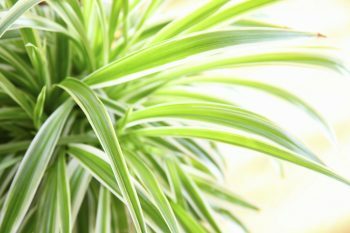 The spider plant is made up of long, thin leaves in variegating colors of green, white and yellow. The specific coloring varies by variety. The long, thin curving leaves with tiny leaf bunches hanging off the ends gives the plant the appearance of a mother spider with her spider babies hanging around her. The fun thing about a spider plant is that each of the little plant babies can be clipped off the mother plant and used to grow a new mother plant in a new pot. That makes the spider plant very easy to propagate and share with others. The spider plant can be varied in color. Some have completely green leaves, but those are not as common. The most common type of spider plant has white to yellow leaves that are trimmed in green around the edges. Another variation of the plant is just the reverse: green in the center, with white to yellow coloring around the edges. Spider plants are incredibly adaptable to different light conditions. They most prefer bright light, but will do just fine in less. Fun tip: if you want the leaves of a variegated spider plant to turn fully green, keep the plant in low lighting conditions, and the leaves will lose their variegated color. An organic soil that is well-drained is about the biggest demand this plant will make. Another reason that spider plants are easy to care for is because they like being pot bound. So you don’t need to hurry to transplant them to a bigger pot. Don’t allow too many “babies” to hang off of the mother plant. Too many babies will pull away a lot of nutrients from the mother plant. 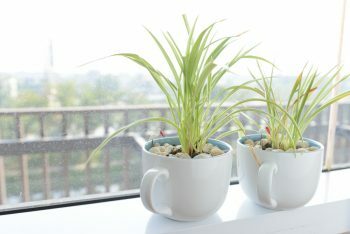 Spider plants like to be watered only about every 10-14 days. Don’t water the plant until the soil is almost dry.